What Does it Take To Release The True Brilliance of Diamond? Finding a diamond with a truly fiery brilliance isn’t only down to the luck of finding it in the first place. Granted, it takes millions of years for diamonds to form, then some staggering effort to unearth it, but it doesn’t stop there. A truly magical diamond might be a fortunate find indeed- but finding the perfectly trained master cutter to release its absolute personality is altogether another event of fortune again. The cut of the diamond is perhaps the most essential aspect considerable when you’re shopping for the perfect piece. It doesn’t just refer to the pattern or the shape of the gem, but to the symmetry of the diamond, along with its proportional structure and capacity for polish. How your diamond appears either to the naked eye OR the loupe will always come down to one main factor- the skill of the lapidary (a gemcutter) who cuts it- and it’s that simple. A diamond cutter has to possess a skill set that prioritises consistency in excellence. This is most often a product of many decades intense training – and years of apprenticeship are required, very often before the apprentice is even allowed to polish a rough diamond. 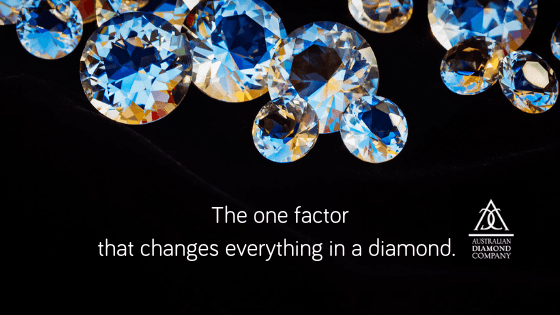 The reason for this is clear: as soon as a diamond is cut, even once, its value is instantly altered, for better or for worse. At ADC, we offer a very special diamond cut that is ours to share. Available in round, cushion and radiant shape stones, Luminus cut diamonds are cut by our incredibly skilled lapidary experts, and the cut refers to levels of precision and facet design that capitalises on the capacity of that diamond. All this is carried out with the view to release maximum brilliance and light. It’s a skill that requires incredible skill, patience and dedication to this life craft. Australian Diamond Company, we’re renown for our incredible showcase of stunning diamond rings and jewellery to treasure for a lifetime. If you would like a consultant to guide you through our breathtaking range, please call our showroom on (03) 9660 4455 today.